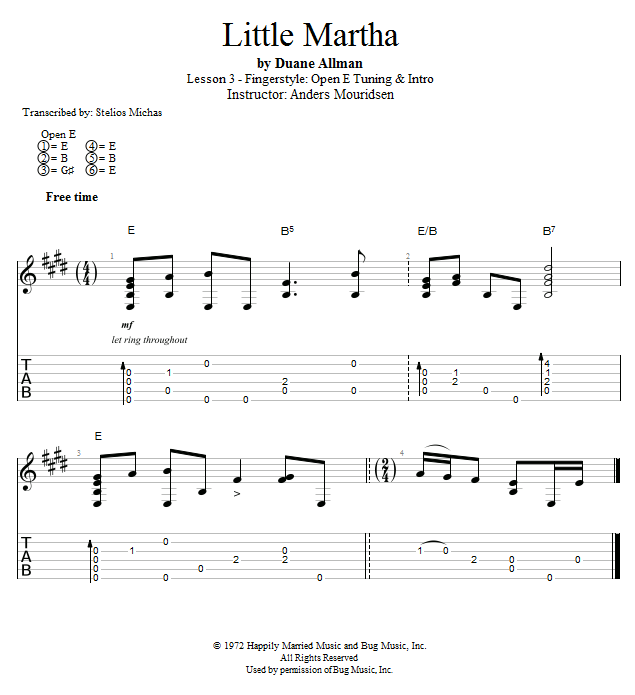 In this first lesson we'll get into the open E tuning and then I'll show you how to play the intro. The open E tuning is E-B-E-G#-B-E (low to high), so the open strings form the classic E major chord from the open position. Then your IV chord will be in the 5th fret and your V chord in the 7th and will sound like the barre chords with the root on the 6th string. If you play along with the record you'll notice the their E is slightly off pitch, so you'll have to tune to them if you wanna do that.